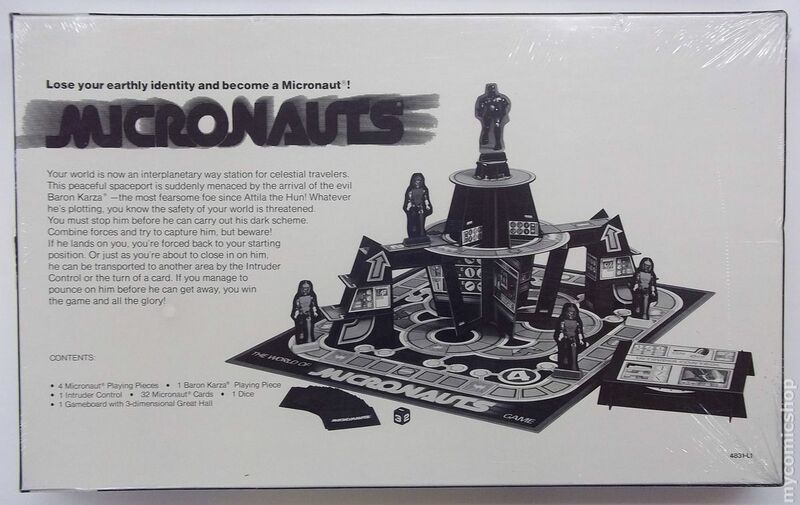 “Lose your earthly identity and become a Micronaut!” One of the more beautiful game boards out there, from the illustrations to the design and decor. Who knew fuschia could look so good? 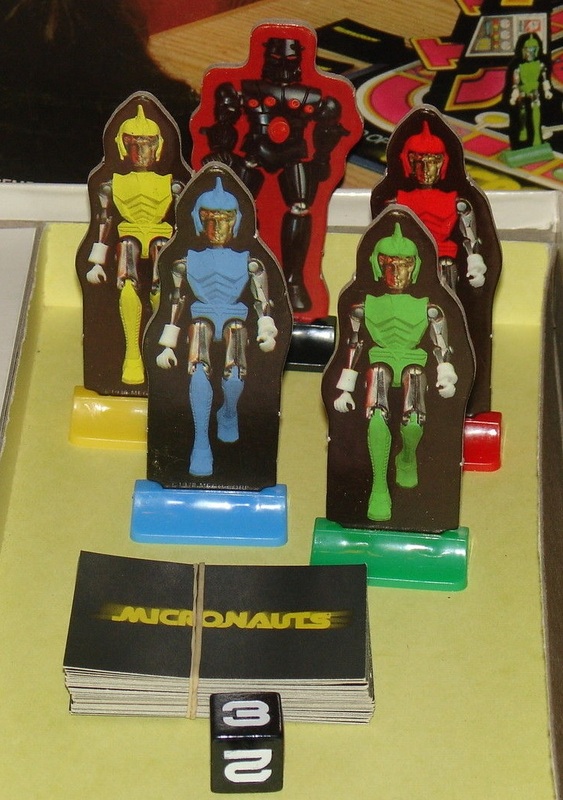 We’d call the ensemble retro-futuristic today. 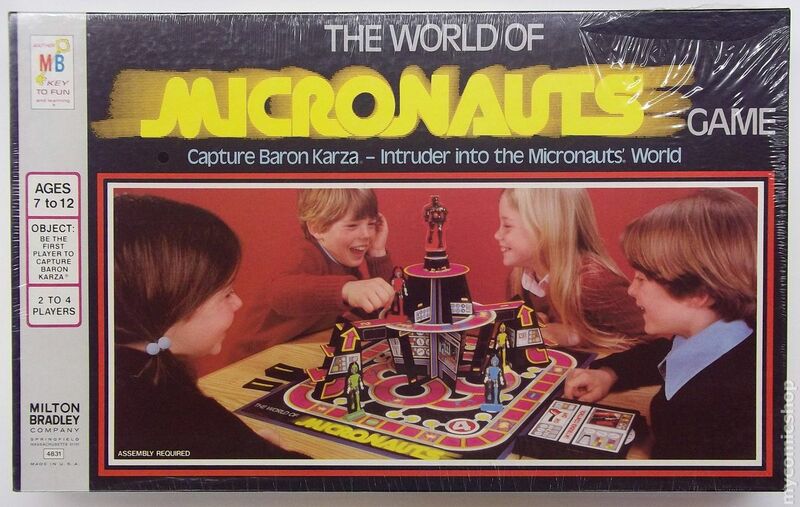 Plus, the damn thing can double as a playset. 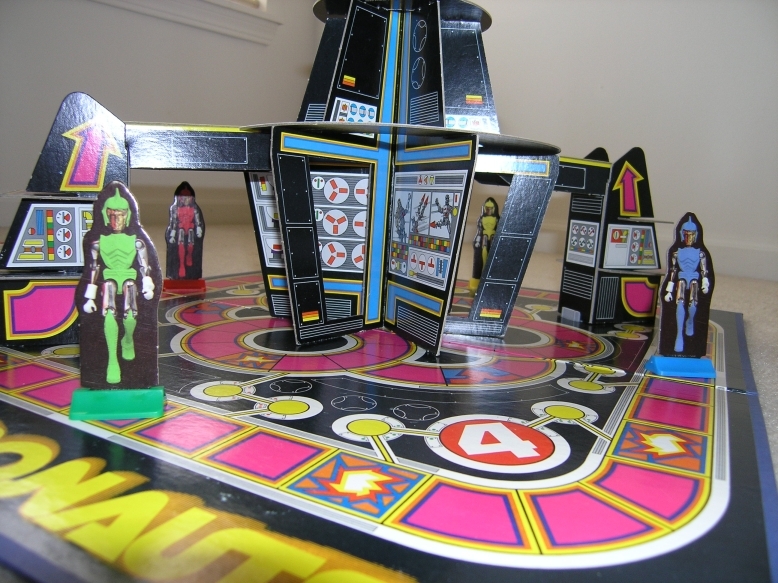 Read more about how to play the game—basic kid stuff—at Innerspace Online.